Some quick statistics. Fairly random ones, but ones that do tell us a story. It's amazing what a few numbers can tell you. 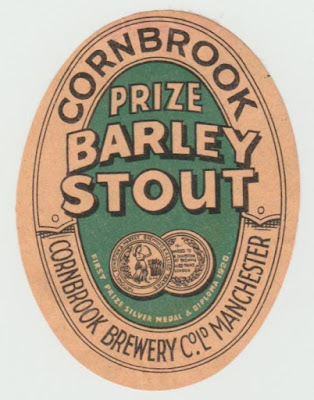 In this case about barley and malt in UK brewing. I often find myself saying things like "Californian malt" or "Chilean malt" when talking about UK beer. But it's untrue and misleading. I really should say "malt made from Californian barley". Because, whatever the origin of the barley it was made from, the malt used in UK beer was always manufactured in the UK. The quantity of malt imported was tiny. And probably exclusively lager malt. The numbers I'm going to show you confirm this. For while there was a considerable amount of foreign barley being imported into London, there was zero foreign malt. Obviously, not all the imported barley was going to end up being turned into malt. And even the malt made from it wasn't necessarily all used in beer - considerable quantities were used in distilling. But it's still significant that three-quarters of the barley coming into London was foreign. I'm slightly surprised that Scottish malt was turning up in the capital. Scotland ran a deficit in malting barley and malt with England. Importing both finished malt and malting barley. ARRIVALS OF MALT IN LONDON. English. Scotch Irish. Foreign. Total. qrs. qrs. qrs. qrs. qrs. "The Brewers' Guardian 1889", 1889, page 365. ARRIVALS OF BARLEY IN LONDON. 300 litres a year, piece of piss. About 12 pints a week. I am about 21 pints, plus wine, plus gin. Just saying. What's you intake Ron?